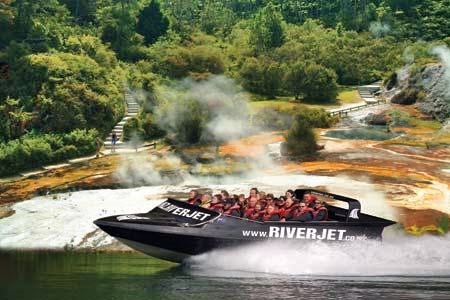 Only the New Zealand Riverjet Thermal Safari incorporates a fantastic geothermal wonderland and a thrilling jet boating experience. All this and more is packed into an absolute Must See Must Do 2½ to 3 hour trip. 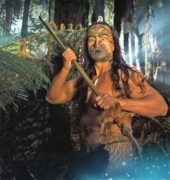 You’ll have plenty of time to relax and take in the spectacular scenery of the Waikato River, to learn about the Maori culture of this beautiful volcanic area and to hear the fascinating tales of times gone by. This awesome adventure brings you up close to a slice of New Zealand scenery only a select few have seen. The stunning scenery of the mighty Waikato River makes you feel like time stood still as you gently cruise through the spectacular Tutukau Gorge where the canyon walls rise dramatically up to 50 metres above the water. The stunning native bush and abundant wildlife you’ll encounter will leave you with a lasting impression. During several stops along the way our drivers explain about the rich history of the area and its unique wildlife. Free entry to Orakei Korako, also known as the Hidden Valley, is part of this awesome package. The valley has almost completely unchanged for thousands of years. 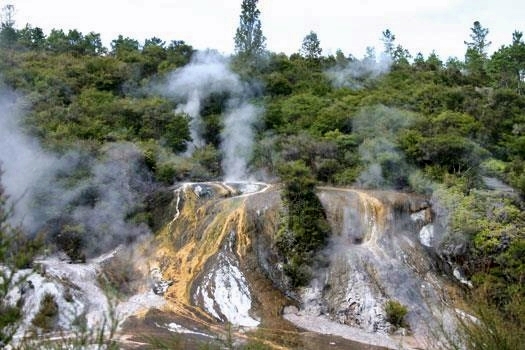 The safe walkways lead you past spectacular silica terraces, boiling mud pools, gushing geysers and into an extremely rare geothermal cave. The serene beauty formed from and around all this geothermal commotion will leave you astounded. Even though the beautiful surroundings of the Waikato River are an important part of the safari, we also like to –in good kiwi fashion- offer you a bit of excitement. The jet boat takes you frighteningly close to obstacles in the water and we shoot at full speed towards the river banks. And of course you’ll experience the legendary 360-degree spins. We tailor all our rides to suit the needs and adventure feel of all passengers, making sure it is a safe and enjoyable experience for all ages (minimum age is 3 years). The Riverjet Thermal Safari is wheelchair accessible.